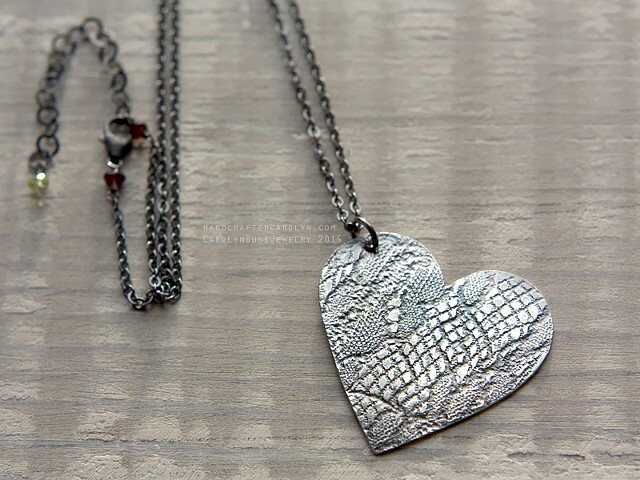 Pendant: 1.5"x1.5, Length: Adjustable 18"-20"
Lace roller-printed heart shape pendant made of sterling silver, hand cut with a jeweler's saw, chain is sterling silver, and adjustable to 20". All metal has a black patina applied, with selective removal. Color will change over time, and turn bright silver where it touches, you touch it, the most.